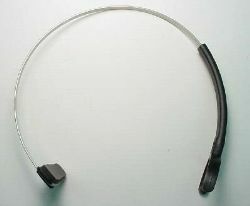 29960-70 Voice tubes for latest Plantronics headset tops (i.e. SupraPlus, Encore, Duoset and Duopro) in a pack of 5 colours. 29960-01 - Replacement voice tubes for later model Plantronics headset tops (i.e. Supraplus, Encore, Duoset & Duopro).